Here's proof that sushi truly is an art form. 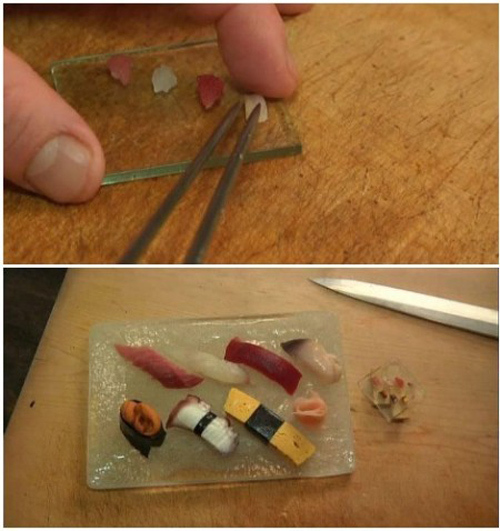 Hironori Ikeno, a Japanese chef at a restaurant in the Nohachi district of Tokyo, has taken the art of sushi to the next level by making very tiny pieces of sushi. And we mean very tiny. One grain of rice tiny. Ikeno initially made the microscopic sushi bites as a joke with a customer about a decade ago, and has been crafting the tiny edibles ever since. Weighing less than a gram each, the sushi bits come in seven various types and require five minutes of preparation time, while their normal-sized counterparts are put together in less than a minute. Hisako Okamoto, one of Ikeno’s loyal customers, says that the single-grain sushi still pack a lot of flavor, thanks to tiny amounts of radish and chili seasonings. 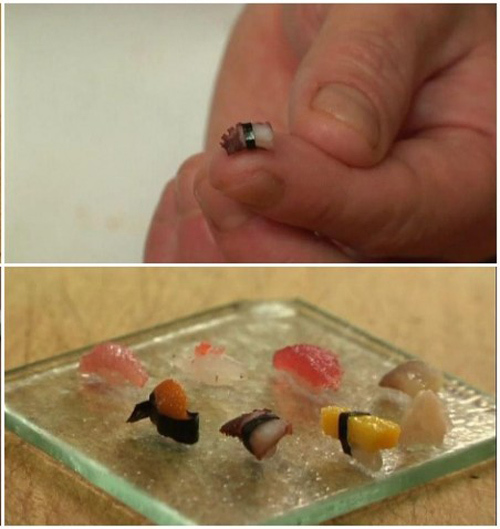 Watch the video above to witness the sushi master craft the microscopic sushi. RELATED: World’s oldest person turns 116; her advice? Eat sushi once a month.